Make sure you make the perfect first impression with these excellent Material design resume templates. 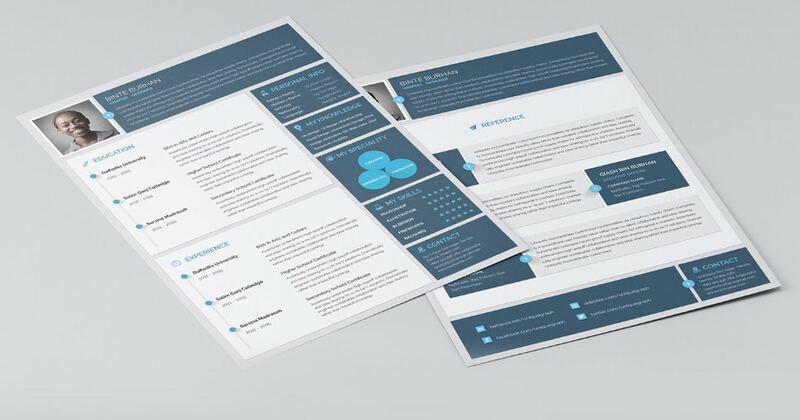 These resume templates have eye-catching designs with features that will definitely get your skills noticed. Download these CV templates, customize and use them to promote yourself in order to get your dream job. You can use them in both print or digital format. You’ll find lots of creative resume designs in the list below. These are available in many editable formats such as PSD, Word, AI, etc. 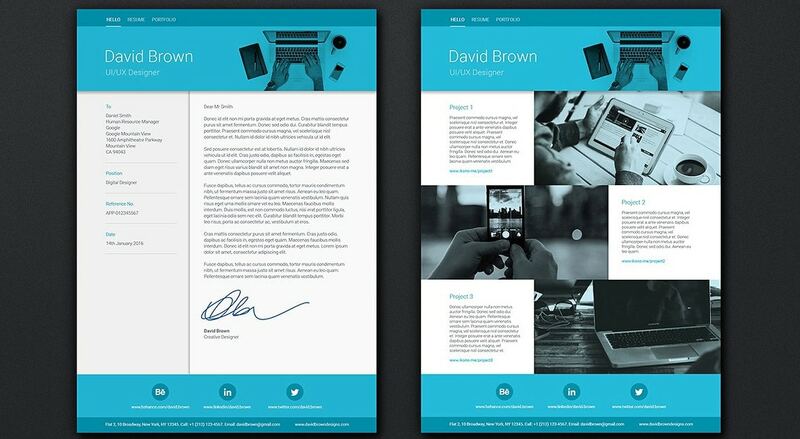 So, there you have it: 20 professional Material design resume templates for your inspiration. 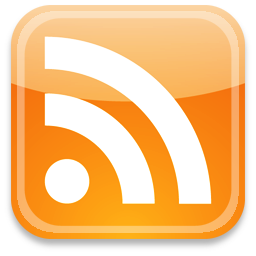 Download, customize and use them to promote yourself. 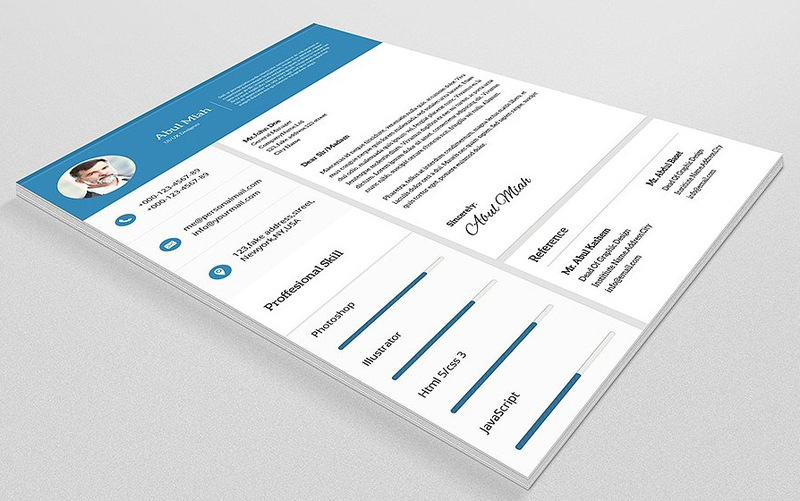 This beautiful resume template will assure you get the first impression to wow your audience. This is available in an A4 size, in a print ready format. This is a neat template that is available in a single page format. You can download a resume template and also a cover letter design that you can edit. 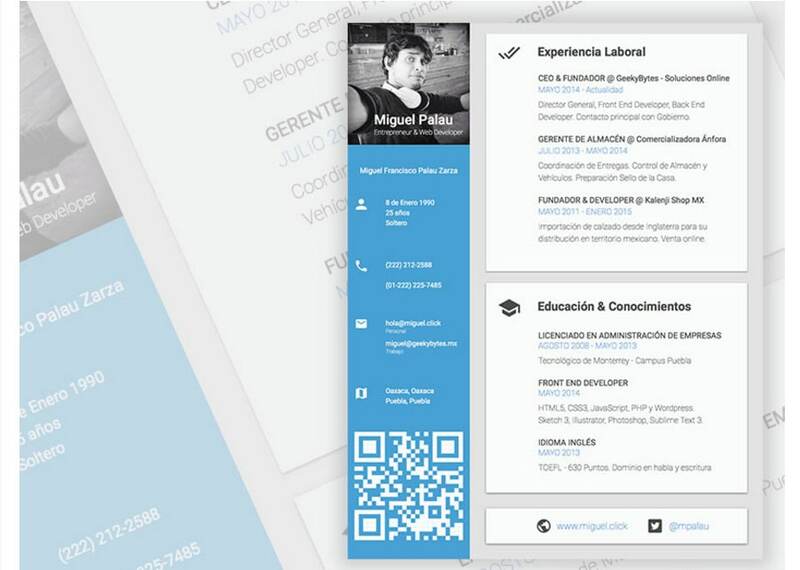 This is a wonderful material design resume design which includes many neat features, for example, a QR code. The design is available in various color modes with beautiful details. Here is a multicolor material design resume template that you can use to showcase your information, past work, skills, and anything that you find useful about yourself in order to get a job. This material resume template can be quickly customized to meet your requirements. You can download it in a PSD, Word, EPS and AI file format. Here you have a stunning material resume design set that incluedes 5 PSD files which you can quickly customize to fit your personalized data. 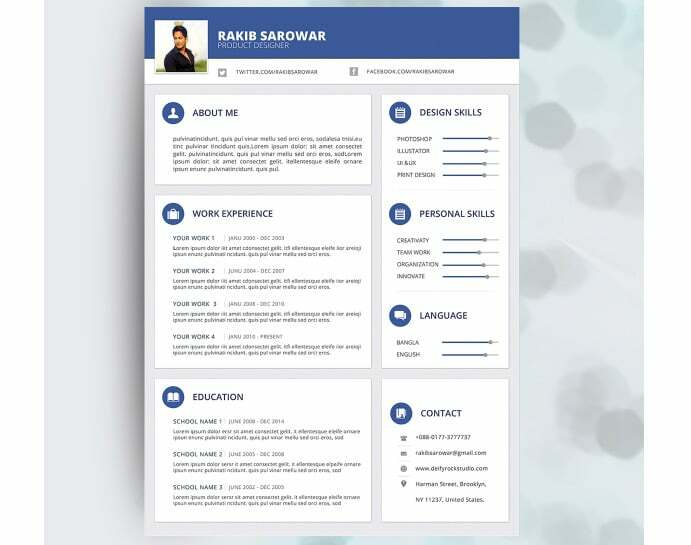 This material resume design is a 3-page template design which allows you to introduce all the necessary information about yourself in order to apply for a job. 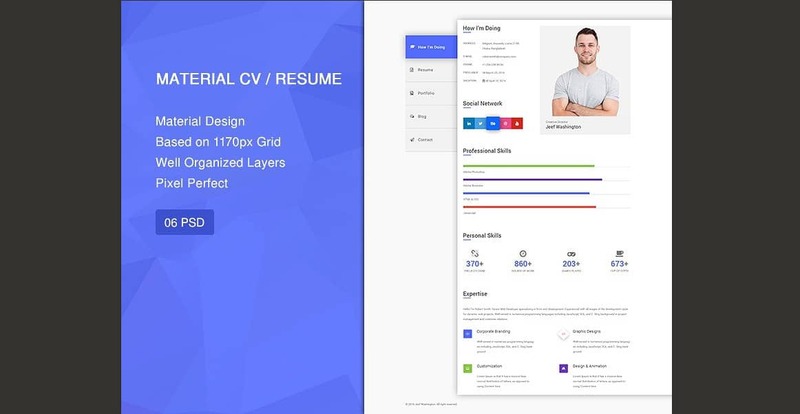 This material design resume template has a professional layout that will definitely get you noticed. It is available in various file formats such as INDD, PSD, and AI. This beautiful resume template is very easy to customize. The download file includes the resume template and also a cover letter. Both are print ready, just waiting to be filled out. This material resume can be downloaded in INDD, PSD, and AI file format, and it includes over 90 icons. This CV design has a modern layout that will definitely make an impression on your potential employer. 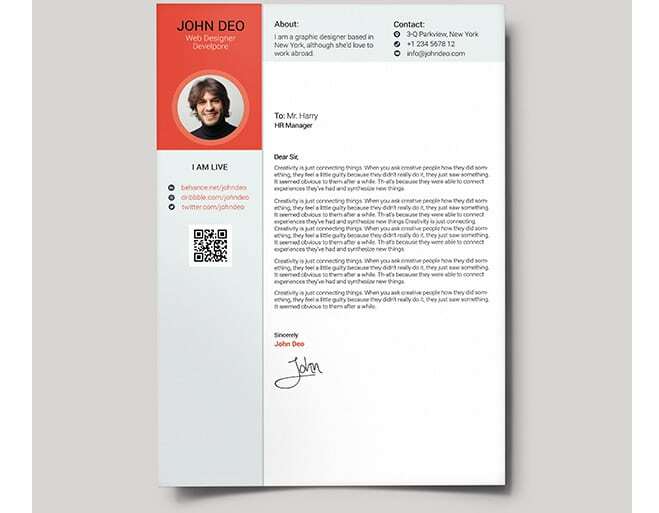 Here you have a stunning resume design that you can edit and use online. This template has a professional design that will definitely stand out. 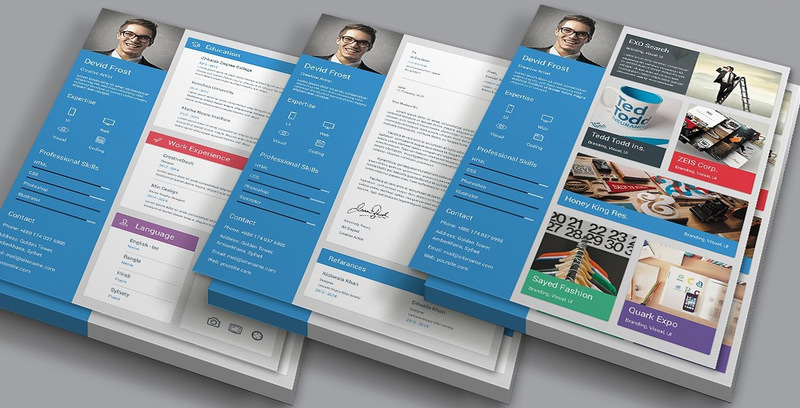 This is a high-quality material resume design that has a beautiful design which you’ll love. It has a fully responsive design with many neat animations. 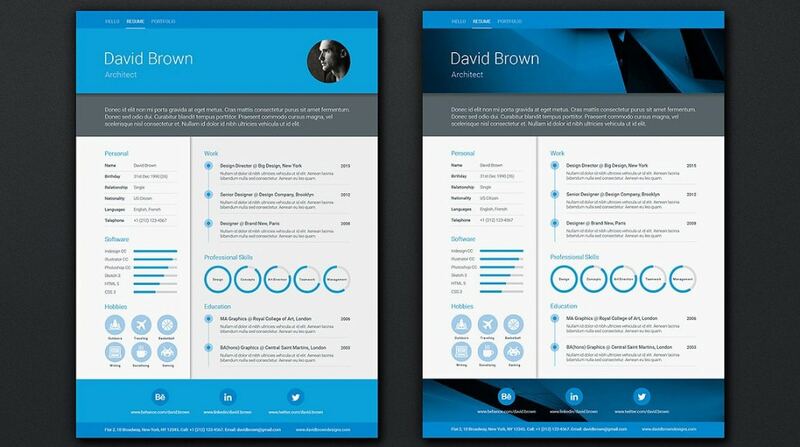 Here is another wonderful CV template which is available in a light & dark mode. This design uses CSS3 animations and a fully responsive design. 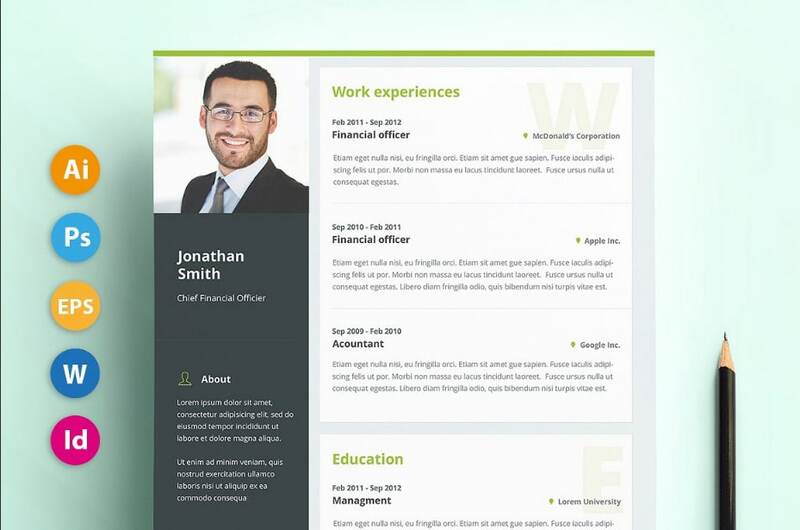 This is a beautiful material design resume template which can be used as a vCard. This template has a 1170px grid and it can be used in a HTML & CSS, WordPress, etc. 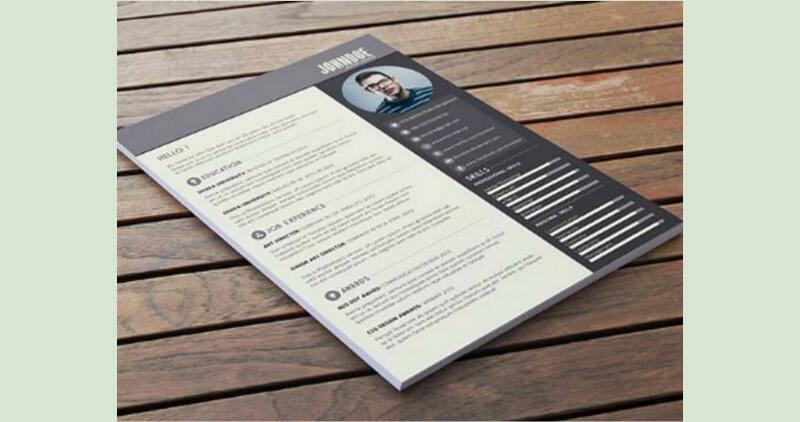 This stunning resume template is available in multiple fully editable file formats. The template has a 2-page layout with neat features and a print-ready format. Here is a great material resume design which you can download and edit in an INDD, PSD, and AI format. The layout has a 3-page spread with alternative header and footer design. 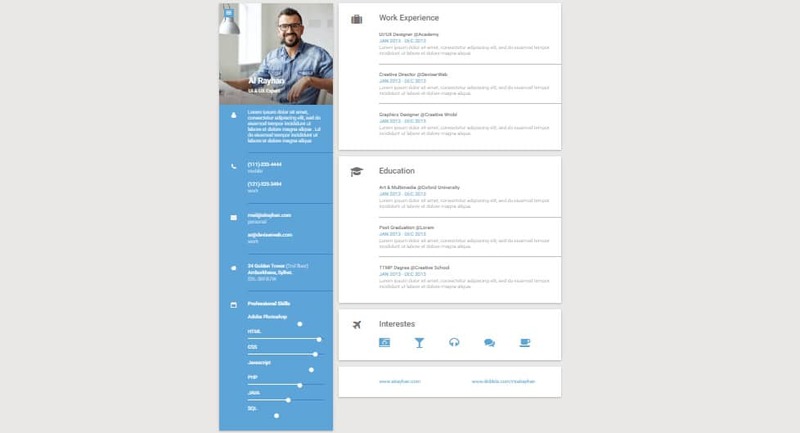 Flatrica is a professional looking material CV template with a wonderful design. This template is available in 12 colors, with multiple CSS3 animations, Google fonts, and other neat features. 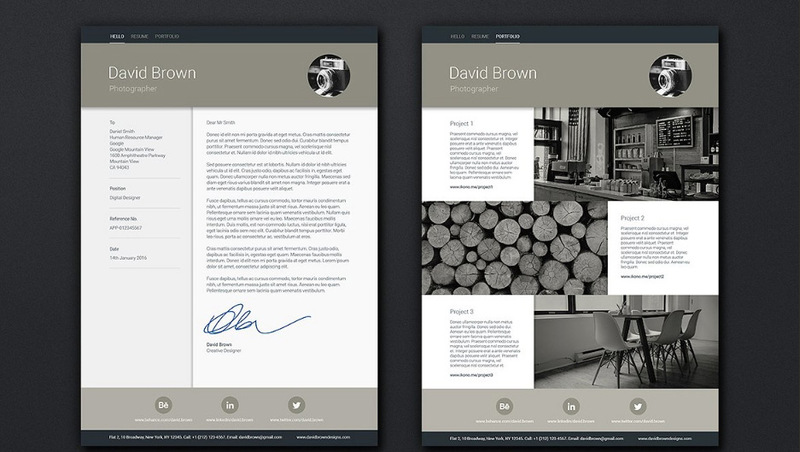 I’mRex is a fully responsive resume design which will automatically adapt to any screen size. The template has a one-page design with various animations. 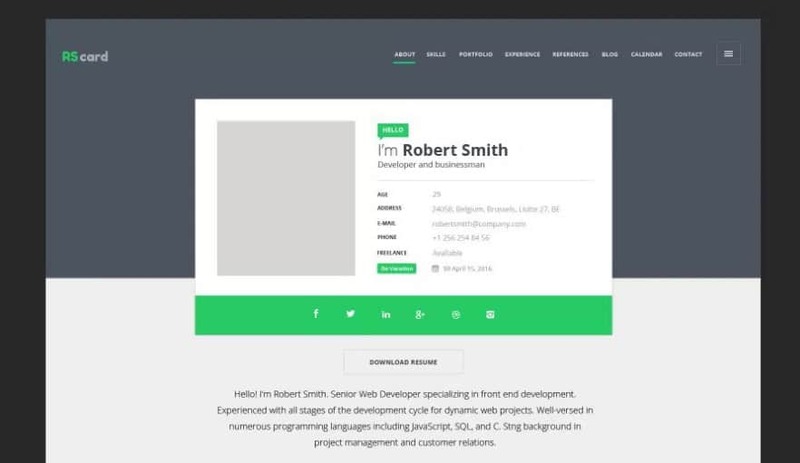 Tile is a beautiful template that you can use as a resume, CV, vCard, portfolio. This template is very easy to customize and it will look stunning on any browser. 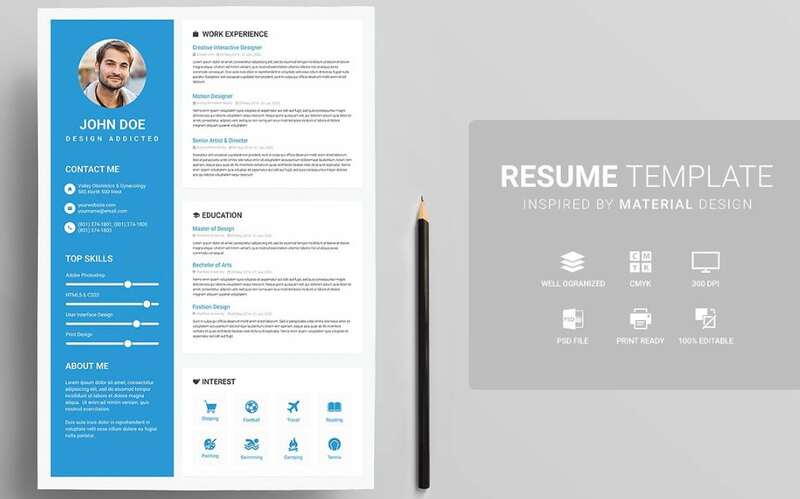 You can use this material resume design to apply for any job. This template will be viewed perfectly in both online and offline situations.